It was quite a warm morning in North Riding, so we tried to keep to the shade for the most part, but Duke didn’t seem to mind the heat too much. He was, however, very concentrated on finding new things to look at and smell. He was quite curious about certain new things and determined to stop and familiarize himself. Duke was very well-behaved and calm today. We took a lovely, relaxed tour of the area of North Riding. On the way, we came across many curious people on the sidewalk who wanted to say ‘hi’. Although it wasn’t particularly busy on the road, the people that did go by seemed to be very interested in Duke and Ozzy and Roxy. Duke was happy to be home, well-exercised and ready for a drink of water. He didn’t seem very happy about saying goodbye though. We will see him again in a few days! Ozzy and Roxy are always excited to meet up with their friends and join them for a lovely walk! Duke isn’t the only curious dog! 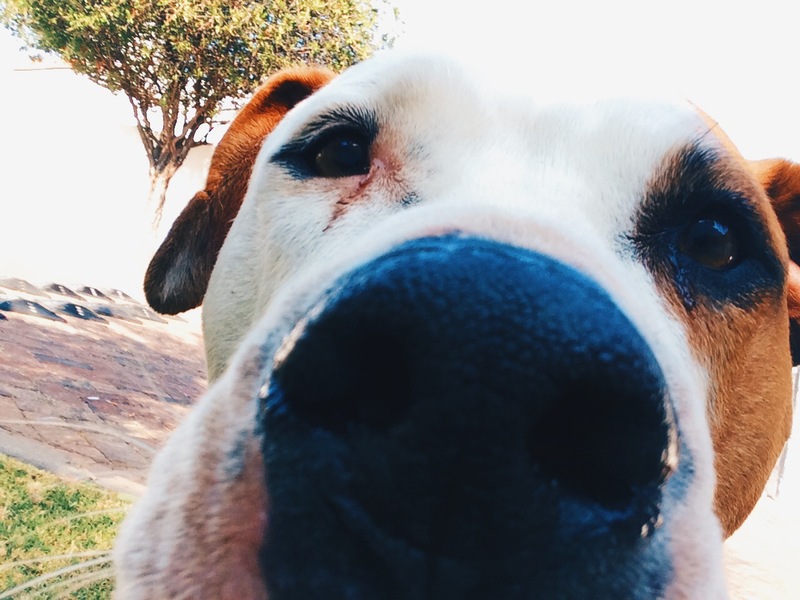 Have a look at this post which is all about dogs in (hilarious) curious predicaments. 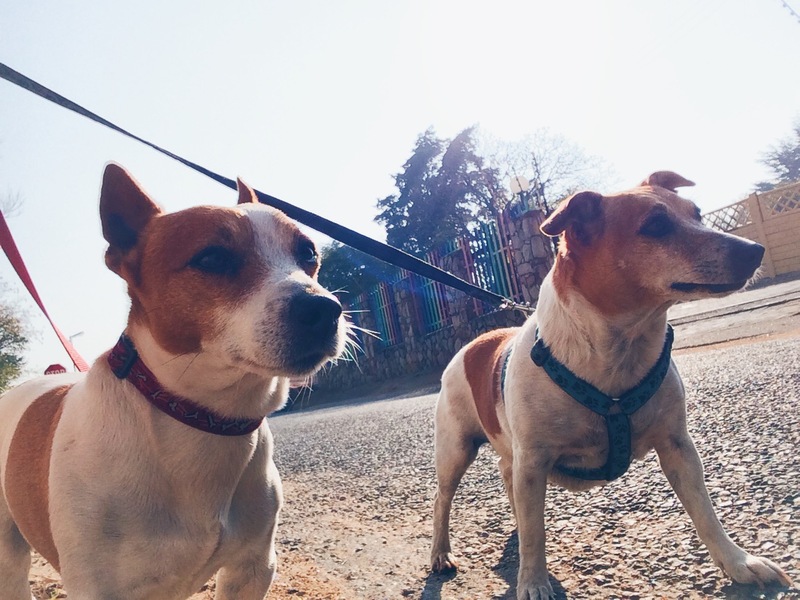 This entry was posted in Dog Walking and tagged #YourHound_SA, animals, city streets, Dog walking, dogs, Early mornings, exercise, fit, fun, Happy Dogs, Joburg streets, Johannesburg, Pets, Socializing. Bookmark the permalink. ← Alaskan Malamutes Have a Fab Time!